Most motorbike tyres online provide you with a full range of specific tyre ranges and types, but if you need specialist tyres for competitions or races for example, you may need to find a specialist online retailer to provide these. As with any online shopping experience, you should try and find the best deal available by looking through a variety of websites and comparing prices. Motorbike sports tyres have a higher temperature resistance than most tyres (not as high as competition tyres) and come in "soft", "supersoft" and "hypersoft" types. If you have a sports bike, a sports tyre is probably ideal for your model. They perform well on smooth surfaces compared to other tracks. These tyres are a hybrid between sports tyres and touring/road tyres; they usually have very good grip and a higher temperature tolerance than road tyres. Compared to sports tyres, these tyres have a higher life expectancy and are suitable for varied use but can sometimes be more expensive than other tyre types. Road tyres have excellent grip and operate at low temperatures, making them ideal for urban trips and riding in the rain. If you use your motorbike to commute or only in urban areas, these tyres are perfect for you. 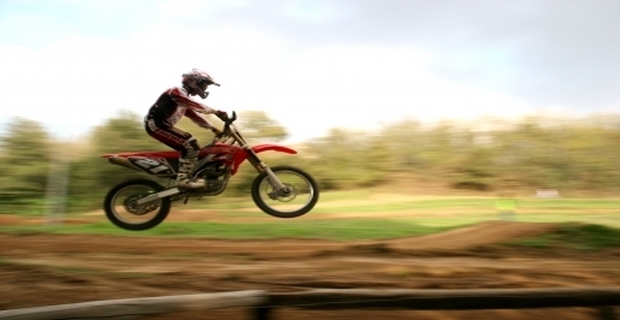 All surface motorbike tyres are used for motorbikes that go on other terrain than road, i.e. mud, mountains or rocky surfaces. They're not very effective on the road, but can be used to drive short distances.